• The American Red Cross website offers pet owners tips for keeping your pets safe. Prevention of Cruelty to Animals Month. • The ASPCA website offers information about how to recognize animal cruelty, how to report it and how to help fight it. Pet Food Bowls Safety Check – No Plastic! 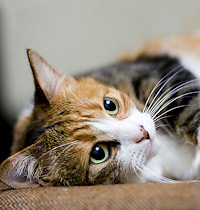 Proactive veterinarian Dr. Karen Becker discusses the reason why cats throw up and the ways to treat a vomiting cat. There are no adjustments in dose for size or age of your animal. Your five-pound Miniature Pinscher receives the same size vaccine as your 150-pound Rottweiler. Your 10-pound housecat gets the same amount as a 400-pound lion. © 2019 YayCats.com. All rights reserved.